City but in a public transport, owing to the many stopovers to load and unload passengers and cargoes, it may take one and a half hour or maximum of two hours travel time. 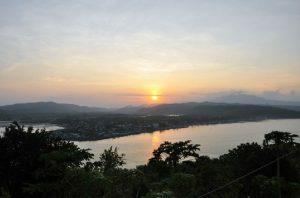 Historically, this town occupies an important part in Spanish colonial history. 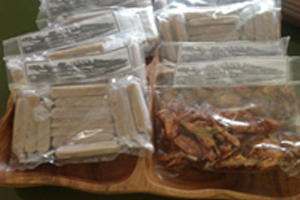 Archeological diggings by various researchers in the past have indicated its old history. 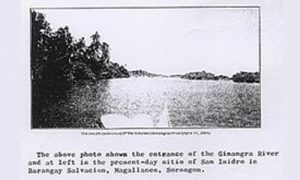 It is also a widely accepted belief, one that has been verified by the National Historical Institute, that the first mass in the island of Luzon celebrated in 1569 was held in what is now called Sitio Gibalon, Siuton, Magallanes, Sorsogon where there is now a Gibalon Shrine established through the help of the provincial government in cooperation with the Local Government Unit. 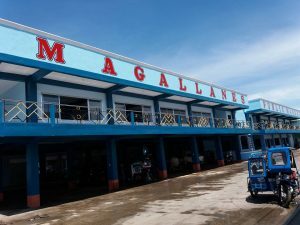 Magallanes, as always is a visitor-friendly town popular for its fresh and dried fish, hospitable people, local delicacies, kakanin like suman lihiya, ibus, tinilmok, palantap, dinarang, kasag, mulidand many more. 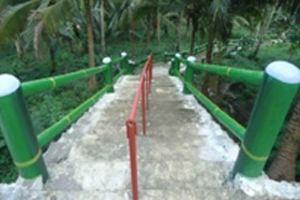 There are also water springs, some are not even yet properly documented and known only to the people where it is situated such as the Pitong Busay Falls in Barangay Pili (Maransas) a 3km walk from the main road into the middle of the forest and Buro-Baroto falls and springs which can be found on the mountain trails of Siuton. In Tula Tula Sur, there are still unnamed natural springs that offer great fun for adventure seekers as well as family picnics especially during summer time. Also in Bagatao Island, there a is historical marker put up by the National Historical Institute through the efforts of the local Historian Rogerio H. Escobal now deceased for the “Astillero de Bagatao”, to commemorate the role of the Bagatao Island in the Manila-Acapulco galleon trade as a major shipyard and port which services the galleons before they sail to the open sea or shelter them during typhoons. Magallanes offers long stretches of white beaches with clear water – a divers’ haven for free. 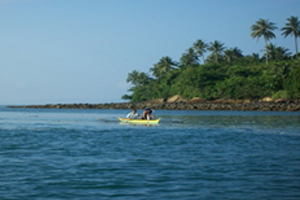 The beaches from Aguada Sur stretch several kilometers up to Caditaan, Ginangra and Biton. 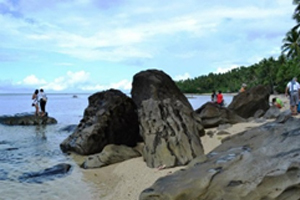 Good places to go are the beaches near the “bucana” where the Gibalon River meets the sea and the beach along Ginangra and Biton. 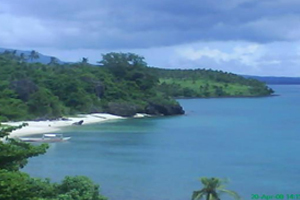 There is also Halabang Baybay or Long Beach, as the locals call it, located in Barangay Behia in Bagatao Island. 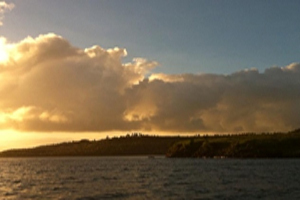 There is also the mythical Tinacos Island just in front of the Magallanes pier, an island that inspired many a myth among the young and old. Without fresh water source, it remains uninhabited up to this day. However, this could be great place of one roaring adventure for the thrill and adventure seeker-types. 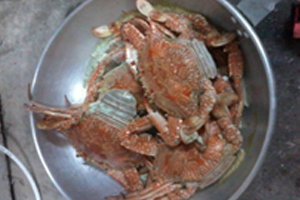 When it is the right season and one is lucky enough, with just a few minutes boat ride from the Poblacion going outward towards Ticao Pass or Masbate… one may be able to experience Butanding watching as this seas are also a feeding ground of the said gentle giants of the sea and local fishermen encounters them often enough during their forays into the sea for their livelihood activities. 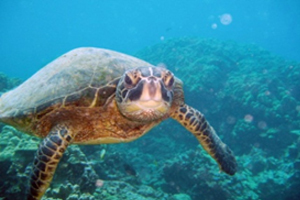 There are excellent sites where one can dive and have some real surprise under the sea where many corrals as well as other sea creatures could be seen. 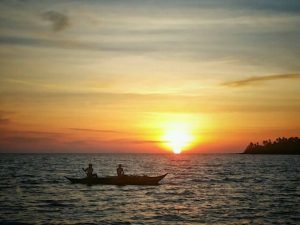 Only a few minutes boat ride from the pier, one can go diving at the Parolang Saday area in Barangay Biga where there are beautiful corals and all sorts of marine creatures. the Parola, a light house built in during the Spanish era, now runs on solar power. 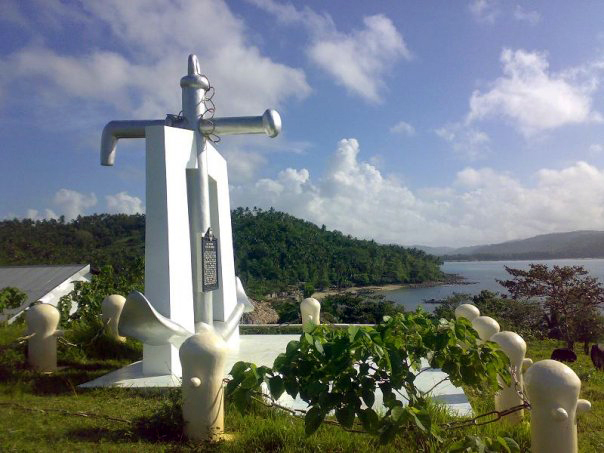 In the era of GPS, this metal lighthouse fabricated in Belgium in the 1880’s all serves as the sentinel of the sea along the Tinacos and Burias Island. Few such light houses still exist in the Philippine Archipelago nowadays. 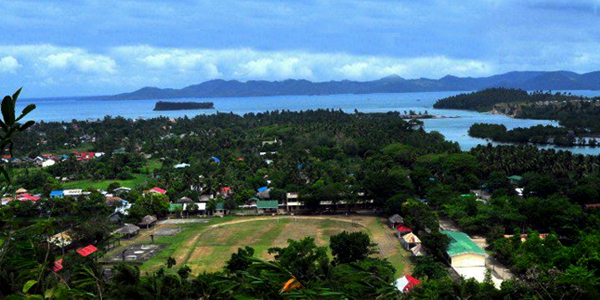 A visit to the light house offers great view of the Sorsogon Bay and the South China Sea. The unspoiled white beach near the light house is a great place to enjoy, just don’t forget your snorkel or diving gear. This place is ideal for real nature lovers. The area has interesting and unique rock formations that make the background perfect for picture taking. 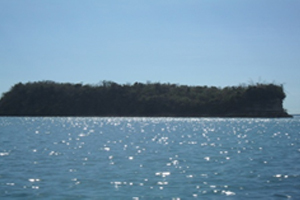 The view of the beach from the boat is naturally attractive. The scorching mid-day sun makes everyone want to jump to the water, frolic in the white sand and gather some seashells. 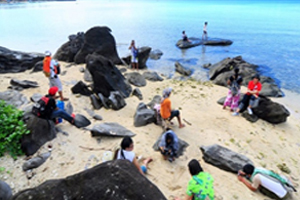 Parola Beach resort has concrete cottages built by the Local Government Unit under the PAMANA Program. It has access to electricity and potable water sourced out from the Magallanes Waterworks System using a generator. 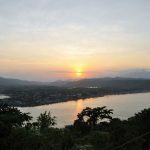 Beautiful Sunset– A view of the majestic sunset can be seen from any village point from the beaches of Aguada Sur stretching all the way to Biton village, an ideal setting for watching the sunset and the moon rise in the night. 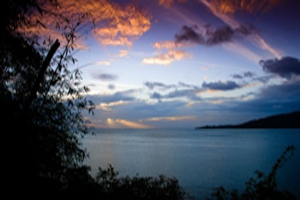 One can also indulge a little by having a bonfire, music, food and have some merriment by the seaside. Faith Renewal Experience– For the Catholic devotees, there is of course the Sta. 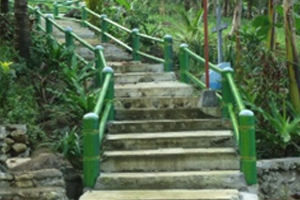 Lourdes Grotto located in Sitio Sta. 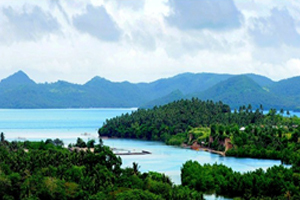 Lourdes, Behia in Bagatao Island. The grotto is overlooking the town proper of Magallanes. While there, one can clearly see the Tip of the Mayon Volcano of Albay, the Sorsogon Bay area and whole of the poblacion area. The concrete path to the grotto is in the shape and manner of the holy rosary which you can readily see when you reach the top of the mountain where the statue of the Blessed mother is installed amid large rocks. There are concrete benches and a large concrete table used when there is a holy mass on special days or during the feast of the Santa Lourdes which is celebrated in the 11th day of February. 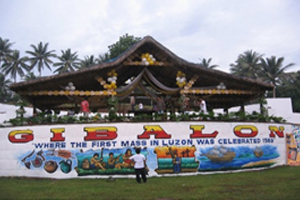 During Kasanggayahan Festival, a mass is held here celebrated by the Bishop of Sorsogon together with the other priests from other parishes. 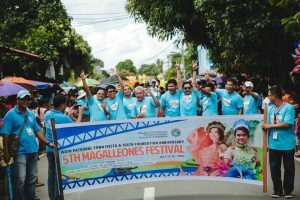 Pilgrims from all over Bikol Region and other faraway places came here in a form of pilgrimage tour especially in October when traditional mass is held on the shrine as part of the official events of the Kasanggayahan Festival of the Province of Sorsogon. 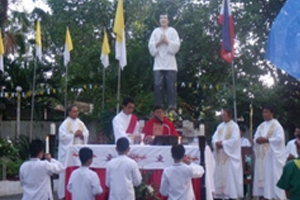 After the mass, there is usually a short program or presentation pertaining to the celebration. 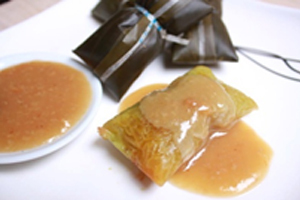 Another one of the religious activities where Magallanes is also noted is the celebration of a consecelebrated mass traditionally held at the San Lorenzo Shrine in the compound of the Our Lady of Mount Carmel. Pilgrims from all over also come here to visit and strengthen their faith and devotion to the Filipino Saint who is noted for his courage, devotion and indomitable faith to God. Malijao springs is located at Barangay Bacalon, just off the Magallanes-Juban road and 3 kilometers away from the centro-poblacion. 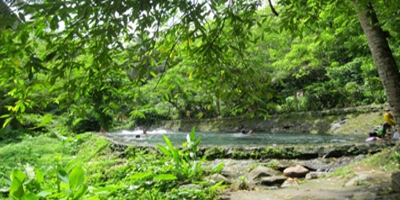 It is a natural spring, where visitors and locals enjoy the cold spring water, especially during scorching summer days. 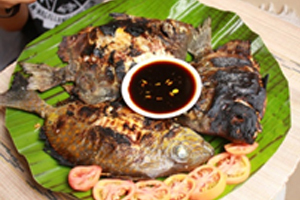 This place is ideal for family outings and small intimate gatherings due to its peaceful and natural ambiance. The spring has crystal clear water which is not only good for swimming but for drinking as well. It is privately owned but the owner allows the public to use the pool for a minimal fee of P 15.00 per head, an amount that goes to the maintenance of the place. 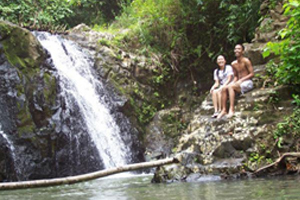 Bucal-Bucalan Spring Resort – is located along the Provincial Road at Barangay Aguada Sur. It is 2.5 km. 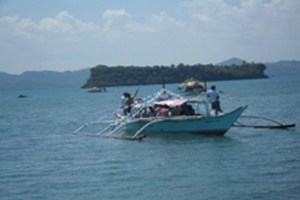 away from Poblacion and could be reached by any land transportation vehicle for about 10 to 15 minutes. It has natural springs, beside a reservoir that collects the spring water at its source. It has two large pools which are sometimes used for training of swimmers. 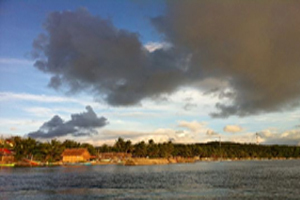 The resort is owned and managed by the Local Government Unit of Magallanes. 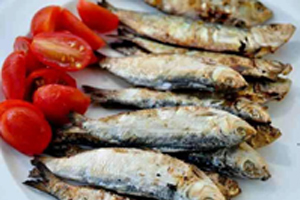 It is surrounded by private fishponds that stretched to the seashores of Aguada Sur and Sitio Telegrapo. 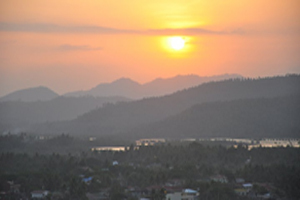 The reservoir, locally known as the CAANAS water source, supplies potable drinking water to Aguada Sur and the whole of Barangay Caditaan. 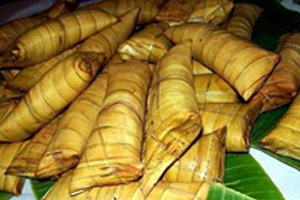 It also supply water to the Poblacion in special circumstances or when need arises. 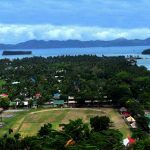 Part of this article are adopted from the write-up on tourism opportunities of the Municipality of Magallanes prepared and submitted by Mr. Ruben L. Conda and Mrs. Nilda L. Conda as part of a requirement of their post graduate class in Bicol University, Legazpi City. Photos used in this article are taken from different sources via the internet. This version is edited by Zhanneta O. Arambulo, Secretary to the Sangguniang Bayan.